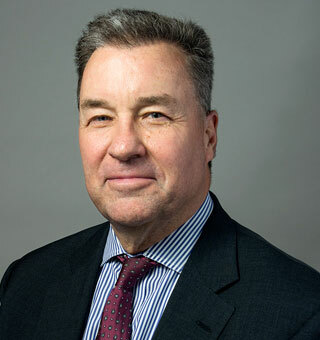 David J. Wuertz serves as Treasurer of the AHRF Board, bringing to the position more than 25 years’ experience in developing investment strategies and financial plans for a wide range of clients. He has successfully built, analyzed, and managed investment portfolios for dozens of not-for-profits, corporations, trusts, and individuals. Credentialed by the CFA Institute as a Chartered Financial Analyst (CFA), Wuertz holds an MBA in Finance from the Kellogg School of Management at Northwestern University and a BA in Philosophy from the University of Notre Dame. Currently a Vice President and Investment Officer at Associated Bank, a top-50 publicly traded U.S. bank holding company, Wuertz also has worked in financial planning at the Feldman Securities Group and Northern Trust Global Investments.